Place the popcorn in brown paper bag and fold the top over twice. 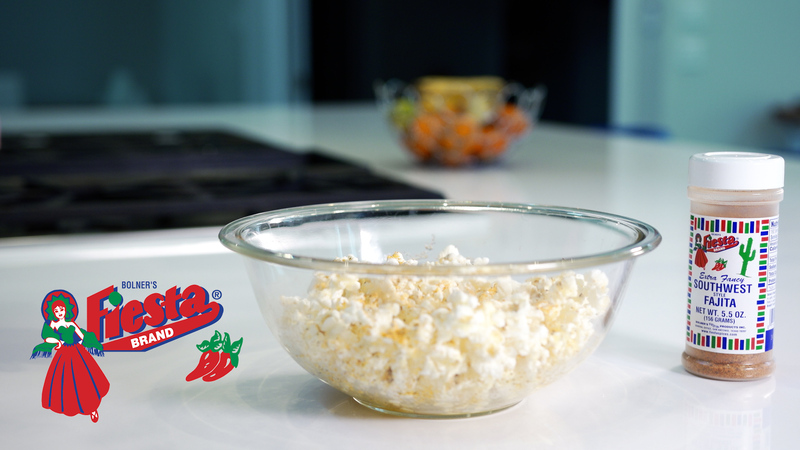 Place the bag in the microwave for 3 minutes, or until fully popped. Open the bag, toss in the butter and a seasoning of your choice. Serve and enjoy! 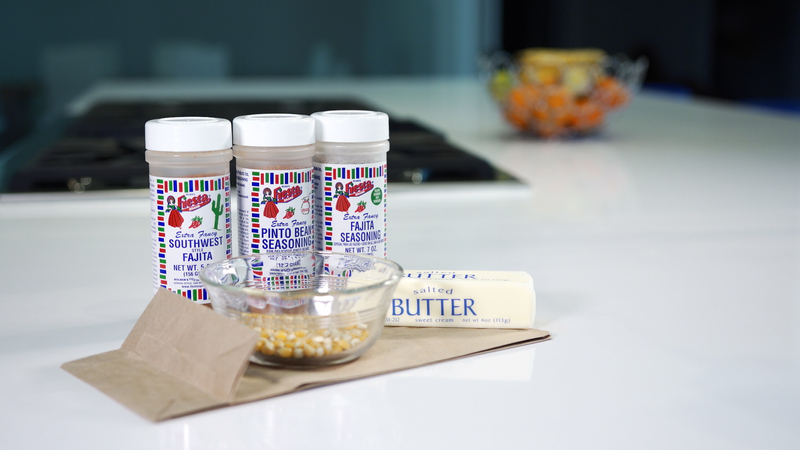 Some of our favorite popcorn toppings include: Bolner’s Fiesta Brand Popcorn Seasoning, Southwest Fajita Seasoning, Chili Lime Seasoning, and Taco Seasoning!